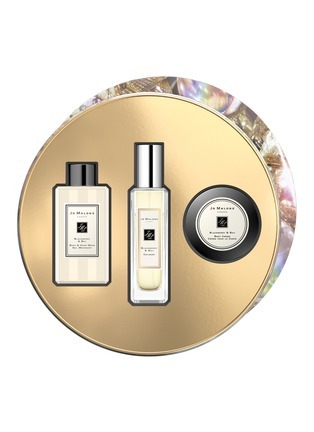 Jo Malone presents this Blackberry & Bay Collection, featuring a Body & Hand Wash, Body Crème, and Cologne. Childhood memories of blackberry picking...A burst of deep, tart blackberry juice, blending with the freshness of just-gathered bay and brambly woods. Vibrant and verdant.